Oolong tea has a full bodied, but mild taste as the result of a unique partial fermentation ending with both off-green and black leaves. The tea has become more popular in the West, marketed mainly as a diet aid, but this is a narrow view of oolong. Like all teas brewed from Camellia sinensis, oolong is rich in antioxidants that can help prevent cancer, heart disease and contribute to well-being. 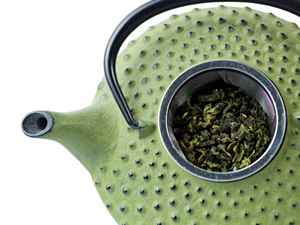 Recipe Instructions: Herbal Tea :Oolong can be served hot or cold. Steep in hot, not boiling water for 3 to 5 minutes to avoid bitterness. A refreshing summer diet tea is made from mixing 1/2 ounce rose petals and 4 oz Oolong tea. Serve un-strained in clear glasses so the petals are visible at the bottom of the glass.